Teachers to Luna: Who had input? 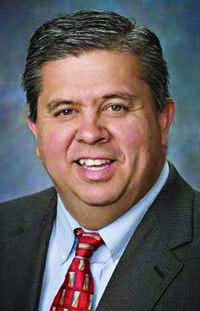 The Idaho Education Association, a teachers organization, filed a request Tuesday under Idaho's Public Records Act to seek information on the stakeholders with whom Superintendent Tom Luna consulted in the drafting of his education reforms. Luna told the Idaho Statesman on Sunday that he consulted with "leaders in education in Idaho" but said he'd keep their names private. Melissa McGrath, spokeswoman for the superintendent, said Luna has been open about the outside input that went into the reforms. "The superintendent talked at length about the stakeholders who had input, including the Idaho Education Association," McGrath said. "[But] there are a handful of people in the education community whom he bounces ideas off of, and he didn't share that because they are in his confidence." Criticism of the education reform has been widespread, with many teachers and legislators testifying that they did not know about the reforms until the legislative session began in January. "From the beginning, the Luna plan's fatal flaw has been the lack of involvement by people who would be asked to make it work in Idaho's classrooms," said Sherri Wood, president of the Idaho Education Association. "He needs to come forward with the names of his advisors so Idahoans have a fuller understanding of who had input into this plan and who was left out." Wood also pointed out that Luna did not discuss the plan when running for election in November. "That's why we've seen thousands of people rally and testify against the legislation," she said. Luna's plan for education reform is made up of three bills currently on the Senate floor. The first addresses teacher contracts and negotiations and the second would institute a pay-for-performance program for educators. The third eliminates roughly 1,000 teaching and staff positions and redirects funding toward laptops and online courses. Sen. John Goedde, R-Coeur d'Alene, the chair of the education committee, said the third bill will undergo changes before discussion on the Senate floor.